Group's goal is to educate boaters, legislators, and the general public on the issues concerning anchoring. A group of boaters concerned about legislation restricting or even forbidding anchoring, have banded together to form BARR: Boaters' Anchoring Rights & Responsibilities. Their goal is to educate boaters, legislators, and the general public on the issues concerning anchoring; to promote responsible boating; and to dispel myths and concerns about anchored boats. Currently, the big push against anchoring rights is in Florida, where the Florida Fish and Wildlife Conservation Commission (FWC) has put in place a 'Pilot Program' to allow five test sites with mooring fields to institute ordinances regulating all boats outside of the mooring fields. This directly contravenes FL Statute 327.60(2), made effective July 1, 2006 by then Gov. Jeb Bush to stop municipalities from enacting and enforcing illegal and contradictory ordinances against boats in navigation. The Pilot Program is 'notwithstanding' to and thus overrides the aforementioned Statute, even though laws exist to control targeted problem issues without the Pilot Program. 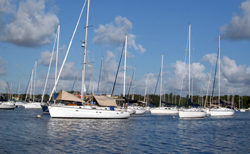 Under the guise of preventing pollution, other negative environmental impacts, and ridding waters of derelict and abandoned vessels (all issues involving a very small minority, only 0.2%, of Florida's 900,000 registered boats), some cities have opted to address these issues by over regulating all boats. Boats in navigation will be subject to restrictions within the Pilot Program site areas. Restrictions can include anchoring time-limits or a complete ban on anchoring. This is a trend counterproductive to ensuring that cruisers have all available options for safe passage. BARR contends that the Pilot Program, which was a last minute addition (introduced without the usual FWC public forum review) to House Bill 1423, is merely a backdoor attempt to restrict boaters' access to anchorages because they are considered 'visual intrusions' to a very few waterfront homeowners who feel they have the right to control the public waters seen from their windows. The vast majority of waterfront homeowners are also boat owners who do not want their anchoring rights eroded. According to BARR's Executive Director, "Five sites were chosen to participate in the Pilot Program: Sarasota, St. Petersburg, St. Augustine, Monroe County (all of the FL Keys), and Stuart (partnered with Martin County). The cities of Sarasota, Stuart, and Key West each have a history of enacting illegal anchoring ordinances that were challenged and defeated in court or settled in favor of the plaintiff outside of court." BARR emphasizes that unless the public has an effective way of understanding their rights to anchor are in jeopardy and coming together to make their protests known, public navigable waters will continue to be manipulated for commercial gain and private interests. Public waters will soon become privatized, putting them out of the financial reach of the average boater and cruiser to enjoy. The confusion to boaters as to where they can anchor and for time period, if any, will no doubt produce issues that are counterproductive to sound decision-making and safety in navigation. 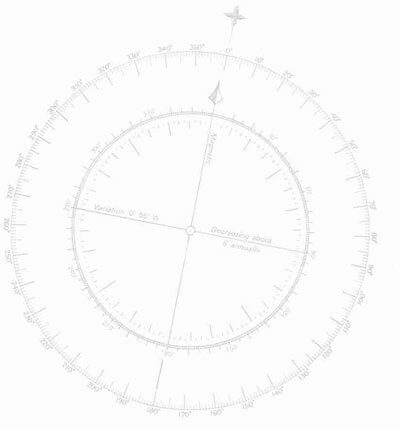 Enjoying the right of navigation on the seas and waterways is the last of the great freedoms, and this activity has historically been available to all responsible boaters. BARR is working to protect and preserve this right so that cruisers and recreational boaters can continue to enjoy the cruising and boating lifestyle. Boaters and others wishing to show their support can, as BARR's motto states, "Join Us at the BARR" on facebook: www.facebook.com/groups/MarinersBARR or contact BARR via their website: www.marinersbarr.org.